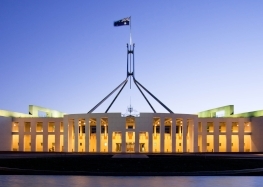 The SMSF Association has criticised the government’s proposed amendments for LRBAs and suggested alternative solutions, including a ban on related party borrowing. At the beginning of this month, Treasury released an exposure draft detailing proposed changes for LRBAs aimed at overcoming situations where LRBAs are improperly used to circumvent the contribution caps. In a submission to Treasury regarding the changes, the SMSF Association stated that it did not support these amendments as they will give rise to complex compliance requirements and prevent SMSFs from using LRBAs as a legitimate strategy for building retirement savings. “We believe that the changes in their current form go beyond stopping this potential loophole in the total superannuation balance (TSB) restriction on non-concessional contributions (NCC) and instead effectively prevent SMSFs being able to undertake an LRBA after the amendments take effect,” SMSFA said in the submission. The SMSF Association said that the LRBA amendments could instead be better targeted towards the elements required for defeating the policy intent of the TSB restriction on NCCs. “We understand that it would be unlikely for an SMSF to execute the government’s targeted strategy through a retail lender,” the submission said. The SMSF Association said the government could, therefore, restrict the proposed amendments to related party LRBAs or ban related party LRBAs from 1 July 2017 onwards so they cannot be used to exploit the TSB rules. The submission also proposed restricting the amendments to people who have met a nil cashing restriction condition of release. “By restricting the application of the proposed amendments to SMSF members who are able to actually use an LRBA to exploit the total superannuation balance NCC rules, this would avoid unfair outcomes for SMSF trustee who are using LRBAs in a legitimate fashion to build their retirement savings,” it said.